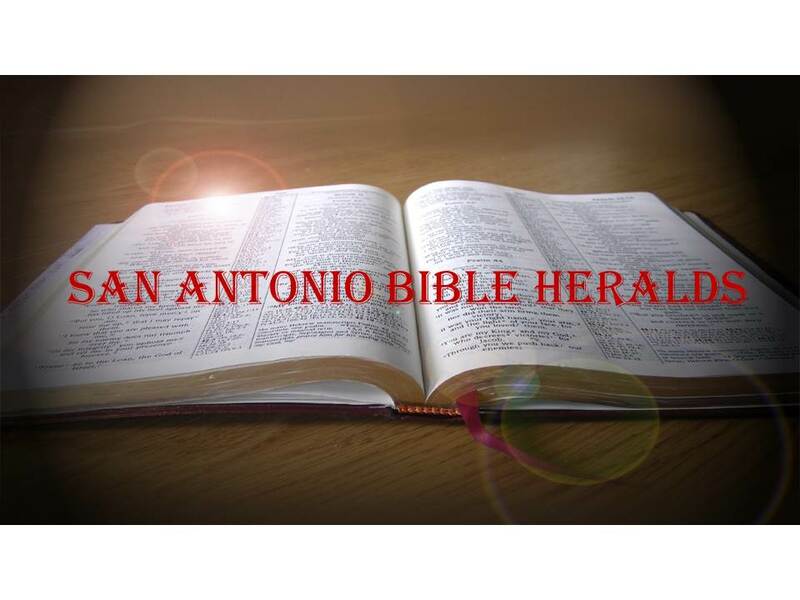 San Antonio Bible Heralds: Does the Bible Teach us to Take up the Sword? So, does the Bible teach us to take up the sword and does it promote “genocide”? Can we use the Israelite conquest of the Promised Land as a model for what we Christians should do today? What was the purpose of the conquest and why did God command the Israelites to perform the extermination they carried out? It is important to note, first of all, that all things Biblical, and Qur'anic for that matter, need to be placed in their proper context. Now, I can hear the unbeliever say “that’s very convenient; whenever you find something that is repugnant or difficult you claim things are taken out of context.” The reality is, however, that all too often writers and analysts play fast and loose with the context of an event and even more often try to impose, anachronistically, their own views and values on the text written centuries ago. That is not to say that things are right simply because they took place at a different time and under different circumstances. For example, slavery in the United States was wrong in the 19th century no matter how you look at it. But there are issues that should be examined in their historical context rather than our own, modern world view. So what about our question? The conquest of the Promised Land was a very specific, one-time event. Bear in mind that Israel was a theocracy, a nation whose king and leader was God. He provided them their code of law, their rules and regulations and everything that directed and controlled their society. In addition, God, as the creator and ruler of the universe, determined to punish the sin of a specific people and chose another set of individuals to bring about that punishment and judgment. God determines, as Paul put it, the “boundaries of our lands and the extent of our habitation” (Acts 17:26). In view of that fact then, those of us who understand the context of the events portrayed in the Pentateuch and the book of Joshua can comprehend why those actions were intended for one people at one time and not for all of God’s people in perpetuity. Don’t miss the fact that, after that period in Israel’s history, they did not engage in such actions ever again. Although David was “a man of blood” (1 Chronicles 28:3), the wars he engaged in were not wars of extermination nor where they intended to punish a people, but were primarily defensive in nature and carried out to consolidate the kingdom. In addition, we should not be afraid to establish and defend God’s right to accomplish his ends in whatever way he sees fit. This whole issue comes about because Christians are put on the defensive about what the world calls “genocide.” We recoil at the extermination of men, women and children, but we fail to understand the lesson God wants us to glean from such actions: SIN IS THAT SERIOUS! It is only because of the grace of God that all of us don’t end up that way. Rather than thinking that we are somehow more worthy than others, we should understand that God’s grace, and nothing more, has rescued us. As to the Qur’an, that book was also written at a specific time and place, but it was not, as opposed to the Old Testament, written in such a way that it applies to a specific time period. Islam is supposed to be the final revelation of God to men. Therefore, all men are subject to its pronouncements. Whether the violence perpetrated by some today in the name of Islam is sanctioned by the Qur’an depends on who you ask. The “moderates” will tell you that the “jihadist” is misappropriating the war passages in the Qur’an. Others, Osama bin Laden for example, will tell us that those passages are intended to apply to all people at all times. The bottom line is that, whereas we as Christians understand the difference between the Old Covenant and the New, Islam makes no such distinctions. So the next time someone argues in your presence that the Bible, in the same way as the Qur’an, demands violence of believers you’ll be able to answer them.